Put yourself in the middle of a unique 3D tower defense game, exclusive to PS VR. Save the Earth from an alien invasion using a menagerie of super powered animals. Only you can save the Earth from invading alien hordes – so put on your PlayStation VR headset, assemble your team of 11 super-powered animals and get ready for action-packed tower defence in immersive 3D. Skill and strategy are your weapons across seven stages packed with enemies, puzzles and boss fights. Travel the globe across over 35 levels, place the Animal Force squad members in tactical positions on the virtual arena and use your PS Move motion controllers to pick up your brave defenders and launch them at the vicious extraterrestrial hordes. 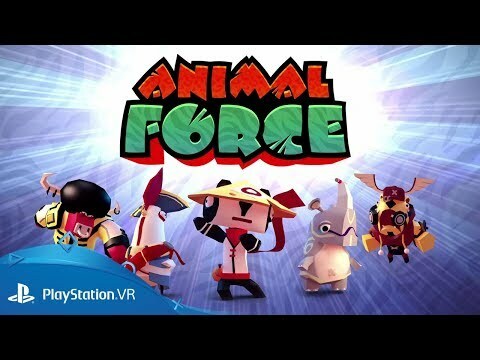 Download Animal Force on PS4.